Detroit Locker began the revolution in performance differentials and still leads the industry today. 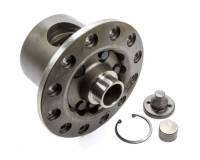 Detroit Locker Detroit Truetrac Differential Carrier 30 Spline 2.76-4.56 Ratio Iron - Mopar 8.75"
Detroit Locker Detroit Truetrac Differential Carrier 35 Spline 3.25 Ratio and Up Iron - Ford 9"
Pit Stop USA is The Online Motorsports Superstore! The legendary Detroit Locker began the revolution in performance differentials and still leads the industry today as an Eaton brand. 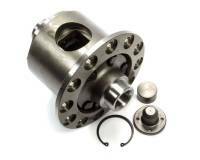 The Detroit Locker is the most durable and dependable locking differential available. The Detroit Locker maximizes traction by delivering 100% of the torque to both drive wheels. 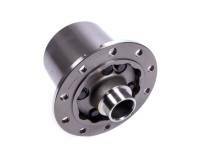 It is engineered to keep both wheels in a constant drive mode, and has the ability to automatically allow wheel speed differentiation when required. 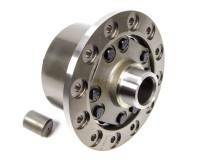 Applications are also available for C-Clip style axles. No other performance differential has the reputation for delivering traction in mud, snow, rocks and on the track. The choice of professional racers and off-road enthusiasts around the world! The durability of the Detroit Locker is unmatched! 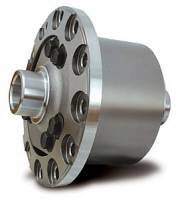 The Detroit Truetrac was the first helical gear differential ever introduced into the automotive aftermarket as an Eaton brand. 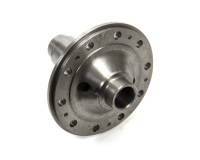 It remains the leading helical gear-type limited slip differential in the industry. 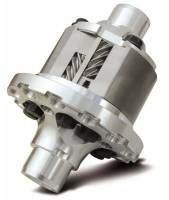 Detroit Truetrac's proven helical gear design eliminates the need for wearable parts, resulting in maintenance free traction recognized not only for its toughness, but its smooth and quiet operation as well. 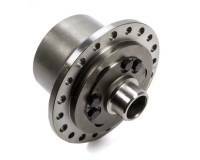 Proven design, low cost and effective performance all make the Detroit Truetrac limited slip differential the ideal choice for a wide variety of vehicle applications. No maintenance - Just Traction. 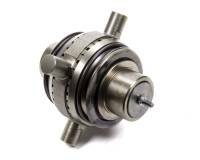 We feature Detroit Locker Differentials, Detroit Locker CTR Circle Track Racing Differentials and Detroit Trutrac Differentials at low everyday prices!